Properties in Ninian Park Station average 4.4 out of 5 stars. Property 53: Situated at Nash Point Lighthouse, Stella provides accommodation for up to five guests. Property 59: Ariel a lighthouse keepers cottage with accommodation for up to five guests. 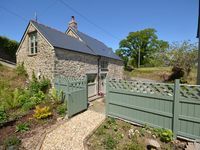 Property 72: LLWYNAU FARM PINELODGES - CASTELLAU, LLANTRISANT - ONLY 12 MILES FROM CARDIFF. Luxury log cabin in beautiful surroundings with stunning views near Cardiff. Property 74: Luxury log cabin in beautiful surroundings with stunning views near Cardiff. Amazing, Modern Holiday Home On the Beach!!! Property 98: Amazing, Modern Holiday Home On the Beach!! !